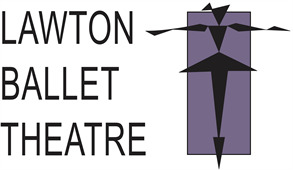 Welcome to Lawton Ballet Theatre! Please complete the following registration form. ALL classes at LBT are closed, meaning that parents and friends are not allowed to sit in. This is to insure that your dancer is focused only on the teacher, getting the very most out of each lesson, and keeps distractions to a minimum. If your student has a hard time being away from you, they may not be ready to take classes. We have two invited classes each year, one in the fall and one in the spring where parents, grandparents, and friends are all invited to watch class. Be on the lookout for the dates this year! Dress rehearsal is mandatory, anyone missing dress excepting illness or an emergency will not be allowed to perform. We ask that you not sign up to be in our productions if you must miss one of the shows (we do two showings of each production) as it interferes with spacing and affects other dancers placement and focus when someone is missing. Should you want to cancel your child's lessons you must do so by the 15th of the month prior to when you wish your last class to be, or you will be responsible for the next month. Example: if you wish to end lessons by Oct 1st, we must get notice by Sept 15th, this can be done by email. Tuition is due on the 1st of each month and late after the the 5th. After the 5th of the month a $10 late fee will be added to your next invoice. After the 10th of the month the late fee increases to $15. We must receive payment by the 20th or we cannot allow dancers to take class. $30 per student registration fee will be processed within 24 hours of completing this form. If we deem the weather too severe to have classes we will email/post to the website, Facebook and send out a text. We encourage you to sign up for texting as it is by far the quickest way to get updates. We will make a call no later than 2 hrs before opening. If we have not posted it means there is class. See our Calendar for holiday closings. Holiday closings do not have an on that months tuition. Tuition is the same every month as it is averaged over the year. Example: During Christmas your student may have 3 lessons instead of 4. Tuition will be the same as they will have months with 5 lessons instead of 4. It is important that your dancers wears the proper attire to class with hair pulled back out of their face. Certain age groups and class style have different requirements for dress. Please be sure to read the dress requirements when signing up for a class. If a student is disrespectful to teachers, other students or breaks the rules in class they are given 3 warnings and then asked to sit out of class usually against the wall. Students will be invited back to dance when they can collect themselves and are ready to participate again. I HEREBY ASSUME ALL OF THE RISKS OF PARTICIPATING IN ANY/ALL ACTIVITIES ASSOCIATED WITH LAWTON BALLET THEATRE (herein referred to as "LBT"), including by way of example and not limitation, any risks that may arise from negligence or carelessness on the part of LBT from dangerous or defective equipment or property owned, maintained, or controlled by them, or because of their possible liability without fault. I certify that I/my student physically fit, have sufficiently prepared or trained for participation in this activity, and have not been advised to not participate by a qualified medical professional. I certify that there are no health-related reasons or problems which preclude me/my student participation with LBT. I acknowledge that LBT and their directors, officers, volunteers, representatives, and agents are NOT responsible for the errors, omissions, acts, or failures to act of any party or entity conducting a specific activity on their behalf. I acknowledge that this activity may involve a test of a person's physical and mental limits and carries with it the potential for physical injury, and property loss. The risks include, but are not limited to, those caused by facilities, temperature, condition of participants, equipment, lack of hydration, and actions of other people including, but not limited to, participants, volunteers, monitors, and/or producers of the activity. These risks are not only inherent to participants, but are also present for volunteers. I/my student hereby consent to receive medical treatment which may be deemed advisable in the event of injury, accident, and/or illness while in the LBT studio. I understand while participating in LBT, I/my student may be photographed. I agree to allow my/my student photo, video, or film likeness to be used for any legitimate purpose by LBT producers, sponsors, organizers, and assigns.